It's hard to believe we're already to the sixth book in the Aldo Zelnick series! I have a student who is waging a one-man boycott of our school cafeteria over the very same issue that moves Aldo and his friends to protest -- no more pizza day on Tuesdays! This volume is sure to please food lovers and finicky eaters alike, and the feast of words that begin with F fairly overflows! Aldo and his fellow endomorph of a dad get a little more serious about their health and weight, and Aldo serves up a steaming banquet of remorse when his protests get a little out of hand. Another must-read for Aldo Zelnick fans, and also for the Nate the Great and Wimpy Kid crowd. I just finished Will Richardson's new ebook, Why School? : How Education Must Change When Learning and Information Are Everywhere (Kindle Single) . Will Richardson is someone I have been learning from for years. I've read his books, I read his blog regularly, I follow him on Twitter, I've watched his Ted Talks and I was able to hear him speak in person this summer. I have learned so much from his groundedness about teaching an d learning combined with his knowledge of technology and connected learning. Why School is a must read for educators and parents, I think. I love this book for a lot of reasons. First of all, it is not about school bashing or teacher bashing but pushing us to think about where we are going with school. Richardson believes in public education and the institution of school but knows things have to change. I also like that Richardson ends the book with some very concrete things we, as individual teachers can do to move things forward and to give our students the school experiences they deserve. Here are some of my favorite quotes from WHY SCHOOL. I have 59 things highlighted according to my Kindle notes page but thought these would help you get a sense of the message Richardson conveys in this book. "I’m suggesting that this moment requires us to think deeply about why we need school. Or to ask, more specifically, what’s the value of school now that opportunities for learning without it are exploding all around us?" "Right now, we are at the precipice of two very different visions of what modern education should look like — two very different answers to the “why school” question. One bodes well for our children, and one bodes not so well, as I’ll explain." "I contend that our focus on passing the test is not nearly enough any longer. I insist that the “test” doesn’t come close to capturing what our kids need to know and to be able to do at this moment of rapid and radical change, and that the longer we wait to start a conversation around doing school “differently,” instead of simply “better,” the more we’re putting our kids at risk." "Just imagine the learners they could become if we made these skills the focus of our work; if, instead of passing the test, we made those ever-more important skills of networking, inquiry, creation, sharing, unlearning, and relearning the answer to the “why school” question. Imagine what our kids could become if we helped them take full advantage of all they have available to them for learning." And my friend sent me a connected article that is worth a read too! I picked up the newest book in the National Geographic Kids Everything series this week. 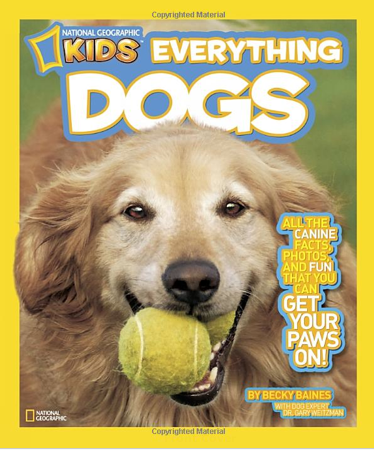 The newest published in October is National Geographic Kids Everything Dogs: All the Canine Facts, Photos, and Fun You Can Get Your Paws On! . My kids gravitate toward books that have a magazine type set up when it comes to nonfiction. They love the visuals and the ability to read the pages that interest them without reading the entire book. However, so many of these books are not reader-friendly and kids often merely browse the pictures. When I saw this book, I was excited about the possibilities. I don't think I have any others in the series but I will be purchasing some soon. This is a great series for middle grade readers. It has the set up they love and an organization that makes sense. There is also a great deal of text and organizational features so kids will dig in, read and learn. The Table of Contents is extensive letting readers know what they are in for. Each two-page spread focuses on a different topic about dogs. There are dog diagrams and tables explaining dog behaviors. And the photographs are absolutely adorable. I like the combination of things kids have probably already read about (breeds of dogs) and new information (dogs with jobs). 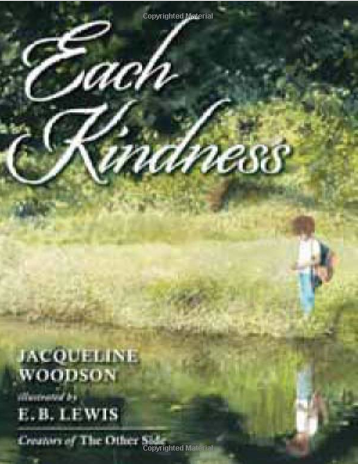 This book is packed with information that is accessible to kids. There is not only a great deal packed on each page, but I also see this as a book that will invite further reading. It looks like National Geographic Kids has about 10 of these titles. I will have to pick up a few more as the format and topics will be perfect to encourage more nonfiction reading. With just a little over a week to go until election day 2012 (Tuesday, November 6, in case you missed the memo), we might be starting to feel a bit like the speaker in Robert Frost's poem, "After Apple Picking:"
As annoying and pervasive as the campaigning might seem, let's never forget that voting is one of the most important acts of American citizenship. Running for office is the other. This is OUR country. Let's do our best to get it right, whether we're the ones in charge, or the ones in charge of "hiring" the leaders. There are twenty poems in Janet's gem of a book. Twenty kid-friendly ways to think about and talk about democracy, elections, voting and citizenship. Rather than tuning out the divisiveness of the elections in this last week before the big day, why not engage students in conversations about the ways we need to work together for our country, and ultimately for our world? 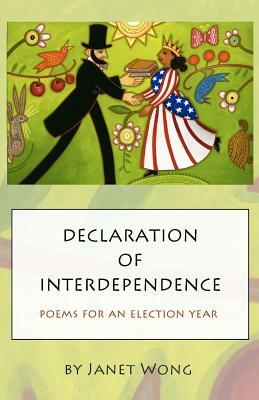 Visit The Declaration of Interdependence blog for more poems and thought-provoking writing prompts. 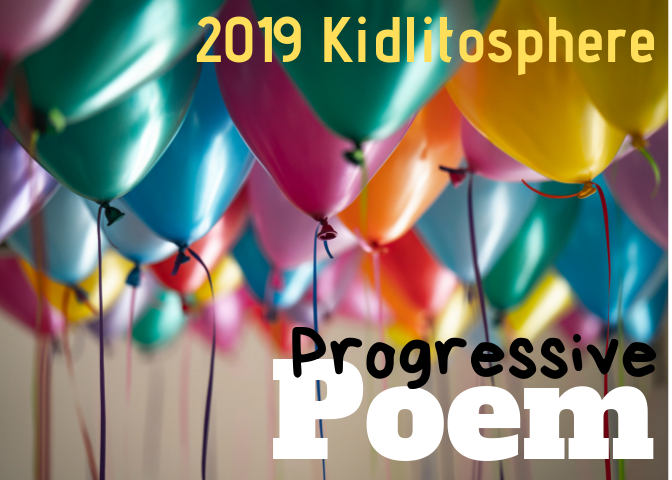 And for today's Poetry Friday roundup, visit Linda, at TeacherDance. We are working hard in fifth grade to be more specific in our identification of genre. Knowing that a book or story is fiction or nonfiction just isn't good enough anymore! We have identified the qualities of fantasy and science fiction, historical fiction and realistic fiction, and more. One of the first hurdles we had to cross was that "graphic novel" is NOT a genre. We have seen graphic novels that are fantasy, science fiction, biography, memoir, and mythology. So a graphic novel is a FORMAT for presenting a story, rather than a single GENRE. 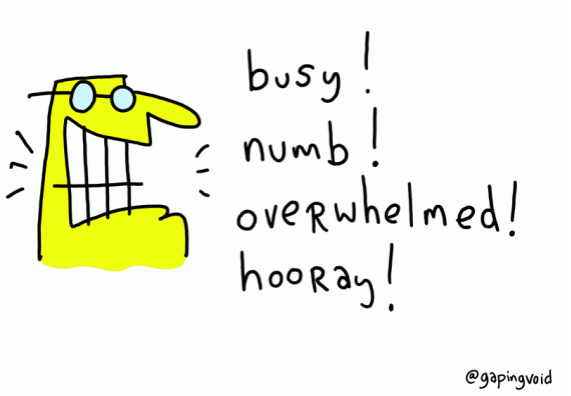 The same is true for wordless books. It might be a fun informal assessment to give a group of students a stack of wordless books and ask them to sort the books by genre! Here are two you could include in your stack -- one fantasy, and the other historical fiction. In this fantasy, Frog and Mouse go on a journey together. They meet a scary dragon who turns out to be friendly. Dragon and his underground video-game-playing friend join Frog and Mouse and their journey takes them all the way to the ocean. One of the best things about this book is the dust jacket -- it unfolds into a big poster with the characters on one side, and parts of the setting on the other! The silence of a wordless book is perfect for UNSPOKEN. When the girl discovers a runaway slave hiding in the outbuilding, she keeps his secret. 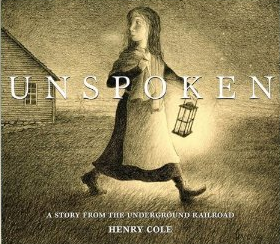 Henry Cole uses well-chosen details to evoke the setting (both time and place), to build suspense, and to give the story a satisfying ending. For those with background knowledge about the Underground Railroad, such images as the lantern, the Big Dipper, and the quilts will resonate. This gorgeous wordless book belongs in classrooms at all levels. It will prompt great discussions, and perhaps some will want to try to write the story with words. 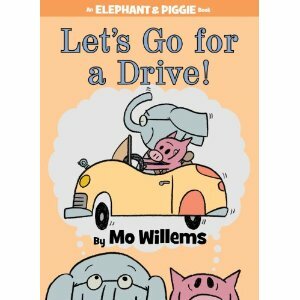 Yesterday, I read aloud Mo Willems' Goldilocks and the Three Dinosaurs: As Retold by Mo Willems and we talked about parody -- taking a well-known book or music video and redoing it in a new (and usually funny) way. One canny student asked, "Is that legal?" Knowing how we drill the evils of plagiarism, I can understand why she asked. I think it will be easier for all of the students to understand just how parody works when I share The original Madeline by Ludwig Bemelmans, followed by Frankenstein by Ludworst Bemonster. Reading both books in the same sitting will allow my students to see that the author of Frankenstein does not copy any of the exact words of Madeline. What makes the book so funny is the way the illustrator imitates the style of the illustrations (right down to the fake Caledecott Honor/CaldeNOT Horror medal on the cover), and the way the author imitates the rhythm, rhyme and basic plot line of the story. It is parody rather than plagiarism because the author made something entirely new -- he did not copy the work of the original. The author of Frankenstein depends on the reader knowing Madeline in order to really "get" the humor in his book. 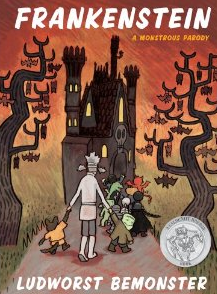 Madeline and Frankenstein -- a pair of books not to be missed this Halloween season! One thing I have noticed that I need to focus on in my teaching is helping kids understand strategies for finding what's important. As I look over assessments, chat with students and listen in on conversations, I've noticed a few things. First of all, students aren't quite sure what "important" means. It is hard for them to understand the difference between important and interesting but some of that seems to come from the idea of not understanding author purpose. The other thing I notice is that although my students can name text features and understand what they say in isolation, they rarely use them in the context of a text to make meaning. 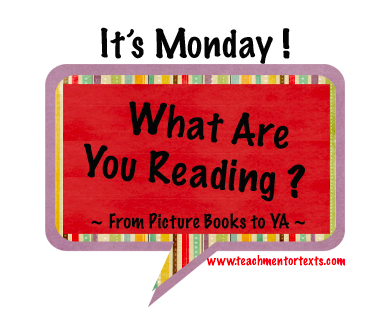 So, this week I started the conversation around what is important in nonfiction text. You never know if your first lesson/book choice is the right pick. I try my hardest to make sure the first lesson is scaffolded just right to begin important conversations but usually I have to revise after that first lesson. This round though, I seem to have found the perfect book to start this conversation with my students. So, I thought I shared. 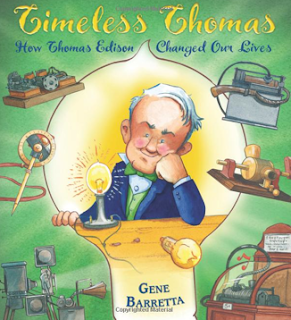 I used TIMELESS THOMAS by Gene Barretta this week to introduce the idea of what is important. I hoped that between the title and subtitle (Timeless Thomas: How Thomas Edison Changed Our Lives) and the organization/headings, it would get the kids thinking about this idea. And it did. 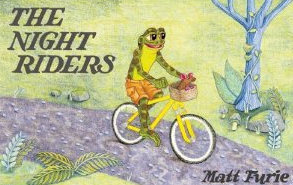 I read the book aloud to students. What I like about this book for this purpose is that the organization repeats throughout the book. Each two page spreads focuses on one of Edison's invention starting with the ways in which we use it now and going back to Edison's lab. The organization and headings on each spread are repeated throughout the book. After our conversation, I did a kind of think aloud about even though the fact that I thought the collaboration part was interesting, it might not be the thing the author wanted me to get from the book-- that the author's purpose might have been different and that authors leave clues about what they hope we/readers learn from their writing. I talked about how I try to read for what's interesting AND what's important, depending on why I am reading. I shared that often the organization of the book and the headings were one way authors told us about what was important. I also shared that the title in nonfiction often gave a clue as to what was important. We had a great conversation following. The first part focused on the word Timeless from the title that one student noticed. The next part of the conversation focused around the subtitle. Then we opened the book and revisited the headings/organization and added to our thinking. We talked about how these 3 pieces come together and we can use those to determine importance. It was a great conversation and a great start to a long conversation about determining important information. The kids actually seemed excited to think about this. It was like they were in on some big secret. And for the rest of the week, kids were noticing things about books, chatting about how they never really paid much attention to headings before, etc. A very simple lesson but the perfect book to make it accessible and interesting for kids. I'm thinking next, we'll spend some time with a few of Steve Jenkins' books because the organization of his books are so unique and tell so much about the topic. Then we'll move to a page from a book like THE LEGO BOOK to determine the important information on the page based on layout, organization, heading. In the meantime, we'll have an informal conversation around this week's issue of Time for Kids related to headings, organization and importance. I didn't actually think this would be a fun thing to teach but it is turning out to be interesting and fun to watch the kids approach nonfiction a bit differently. 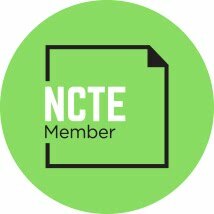 Thanks, as always to Jen and Kellee at Teach Mentor Texts for hosting one of my favorite weekly blog events! Make sure to visit their blog today for lots of great lists! This last week, I finally feel like I can breathe again. I feel like I can read a bit again. The piles of unread books is growing and I had about 1000+ unread items in my Google Reader. It is good to have a little bit of time to read again this week. Debbie Miller recommended How Children Succeed: Grit, Curiosity, and the Hidden Power of Character by Paul Touch. I have just started the book and I imagine I will take my time reading it so that I can really slow down and think about all that the author is saying. If you enjoyed Peter Johnston's work, this is a great piece for additional thinking. I finished Lois Lowry's new book Son . What an amazing read. As expected. This book was definitely not a disappointment and I am so glad I reread the entire Giver series before I read this last one. Not that it couldn't stand alone but I was blown away by The Giver again. Not sure I would have ever made time to revisit it without this reason. I've also been reading a fun adult fiction book, What Alice Forgot that was recommended on Twitter--from someone who I talk to a lot, but not sure who...I hate when that happens. So, to whoever recommended this book, thanks! I actually heard about it first from Twitter but then from other friends. It seems to be getting a good buzz now. It has been a good, fun read over the last few weeks. If you are looking for a grown up read that is good, but not too intense, I would recommend this one. The premise is a fun one--Alice, who is getting ready to celebrate her 40th birthday and going through a bitter divorce, hits her head and forgets the last decade of her life. So much has changed--she is trying to figure out how she got from there to here. And I got a copy of A Poem as Big as New York City: Little Kids Write About the Big Apple this week. What a great book. So many possibilities. Just a gorgeous book in general. I am about maxed out on children's poetry books so I am trying to be very picky about what I add to my collection. This is a good addition for sure! Bud the Teacher always seems to say the right thing and he seems to be able to read the world with clarity. I loved this post about innovation. 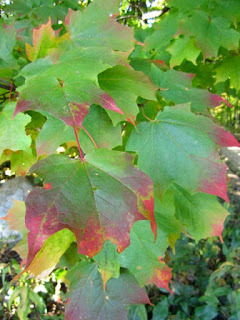 I love E Tells Tales--she is a teacher but lots of her blog is about life in general. First of all, just so you know, there will never be a feature on our blog on "What We Wore to School this Week". Unless I win a new wardrobe and can dress as fun as Elle from this blog, it will never happen. But I Love this feature of her blog. Such a fun girl! For some serious thinking, look closely at #3 where she talks to her teenage students about an article (linked) and when it was that they lost their love of learning. So sad. 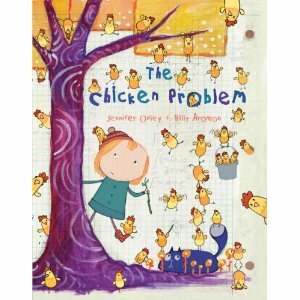 And I loved Alyson Beecher's Nerdy Book Club post on her Top Ten Nonfiction Picture Books. I have been looking to add more nonfiction read aloud to our classroom so this list was a great one for me. And finally, I was happy to see that one of my favorite organizing blogs, I HEART ORGANIZING, had a post on organizing books. I thought that this was exactly what I needed. But then I peeked at the post and this post is meant for people who have a normal amount of books. Not for those of us who are readaholics, who have books lining every wall of our life. (I am not actually sure when reading this post if the books that are organized are ever meant to be read but they do look nice:-) I think the blog should do a special edition of book organization for Nerdy Book Club Members, don't you? My students put up a new blog post about Science Challenges--something that's worked for me for years as a way to build Science Literacy. I send kids off with a question or challenge and they design an experiment at home and come back to report out. We do about one a month and the growth over time through the sharing is amazing. Here is a post done by three students about Science Challenges. I have a couple of songs to share this week. Music lyrics are one of my favorite forms of poetry. The third song I'll share is this one by Rodney Atkins. The pertinent lyrics show up right about the one minute mark. These songs go out, in general, to anyone who is going through tough times. Narrow the target a little bit more, and they are for breast cancer survivors who might not need an awareness month as much as they need a pep talk to stay strong. The center of the target? These songs are for you, Sylvia! It is October. And, I am ready to teach. Don’t get me wrong. I have been teaching lots of things. But during the first few weeks of school, I am teaching without knowing my children well. I am planning lessons and experiences that I hope are right for this group of children. And I’ve done a lot of watching and noticing. The question for me is never ‘Will every one of these children become readers?” I am confident that they will. But I know the route to becoming a reader may be a different one for each child. And that’s what makes teaching a joyful challenge. I enjoy planning for the first six weeks of school but I LOVE planning once the first six is past and I really know my students. I’ve finished my fall assessments and entered the data into the district data collection systems. I’ve compiled the information for myself, looking closely at every reader’s strengths and needs. For every child, I’ve thought, “Where can I take this child next?” I’ve looked at class data to think about what kinds of lessons the whole class can benefit from—which ones are a priority. 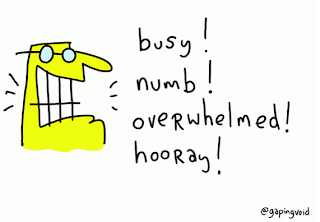 I’ve looked at which things require that I pull small groups of student together. I have lots to go on when I talk to kids individually about their reading. I know levels and numbers. I know fluency rates and the types of miscues students make. But I know so much more than that. 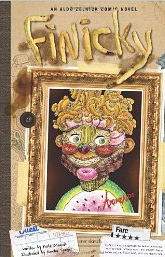 · I’ve figured out who is involved in the underground conversations going on about who is next in line for the newest Lunch Lady book. · I have heard the ways in which each child is getting more comfortable talking about books during our read aloud time with Capture the Flag and The One and Only Ivan. · I watched as some children get up during Reading Workshop because they haven’t found a book worth sticking with and I’ve watched those who are always glued to their book. · I know who has a new book each day and who sticks with a book until the end. · I know who likes to carry around big fat books and who is nervous about reading anything long. · I’ve seen the look on the face of a child who discovered that favorite author Rick Riordin authored the first book in the 39 Clues series. · I’ve watched kids discover new series and authors to love. · I know who notices the new books I bring in before I actually take them out of my bag. · I’ve heard from parents that some kids have been talking about books on their way to soccer practice after school. · I have had honest conversations with a student who finds reading very hard and is trying to like it better. · I have celebrated with a child who has finished her first book of the year after a long struggle to do so. · I have shared in the excitement of our first Skype Author visit with Kate Messner. · I have laughed at the first literary joke made in our new community. It is clear to me that we are well on our way to becoming a community of readers--that there has already been huge growth and that reading is at the heart of our classroom community. But for me, a community is more than a group of people who love books My work is to create an intellectual community around books. A learning community is at its best when the collaborative thinking is better than the thinking any one person could create on his or her own, a community that is constantly growing. But a strong community also means that each individual changes and grows too. So, this is the time of year that I dig back into the curriculum, bring stacks of books home to revisit and think about how each might support this unique group of learners. My biggest challenge is to plan in a way that is grounded in all I know about teaching young children, in a way that wants more for my students than to pass a standardized test. It is in mid-October, when I have learned so much about each individual in the classroom, that I know that all of this is possible. So, most people who read this blog know that Jon Klassen's I Want My Hat Back (E. B. White Read-Aloud Award. Picture Books) is one of my favorite books of the year. Actually, it is one of my favorite books of all time. I love the book. It made my list of Books I Could Read a Million Times. It makes me smile every single time I read it and I love to find a person who has not heard of it so I can hand it to them and watch them read it. Really, one that I would take to a desert island if I could only take a few favorite books. And really, who could tire of the book trailer? I had no idea how much I would love this book when I first mentioned it at the end of this post about upcoming books. So, you can imagine how happy I was when I heard that Jon Klassen had written ANOTHER book about hats, This Is Not My Hat . I had no idea what to expect but I knew I would love it (and I do!). And, imagine how thrilled I was to be invited to be part of the blog tour and to interview Jon Klassen about his work. Not only did I get to ask Jon some questions, I got an advanced copy of the new book and I loved it, loved it, loved it! Franki: Did the idea for THIS IS NOT MY HAT come before or after the publication and response to I WANT MY HAT BACK? Jon: The idea came after the publication, and after it had already gotten a little bit of traction. I had wanted to get an idea sooner, just because you do worry that whatever the response is, it will affect how you work on the next one, but I had to get through some stories that didn't work before this one showed up. Franki: As a huge fan of I WANT MY HAT BACK, I was worried I’d be disappointed with the new book, but I loved it just as much! What was your hope for this new book? What were you trying to give to readers? Jon: Thank you! It was tricky, because we didn't mind the idea of doing something that fit in with the previous book, but we wanted it to stand on it's own for people who hadn't seen I Want My Hat Back. I think more than anything that was the main goal. Also just personally I wanted something I was going to be interested in working on for its own reasons. I do like that, taken together, the two books sort of make the hat an abstract thing that just gets the story going. It's neat to just drop a hat on a character and suddenly there's implications to that. Franki: We get to know your characters so well in your books, even though they don’t always say much. What’s the trick for that? Do you feel that it is the illustrations that let us know your characters or is it something else? Jon: I think there's something to making a character very simple-looking and calm and then giving that a lot of context. Someone looking sort of blank and calm can be a boring picture, but then if you say "this person just found out he's very sick," you start pouring all you know about what that would feel like onto him, and it becomes really personal and you're using your own experiences to make up for what he's not giving you visually. There are some decisions to be made on the illustration side about eye direction and things like that, but they are mostly symbolic. If a character looks behind him because he is guilty of something, you can't draw a guilty eye, at least I can't, but you can say that he's guilty, and then you look at the eye again and think "yeah, that is one guilty-looking eye." Franki: So, you write a lot about hats. Do you wear hats? Have you ever had problems with other people wanting to wear your hat? Jon: I do wear a baseball hat a lot. I wear it so much that it doesn't really appeal to people to want to wear my hat themselves. But as a kid, there aren't many things that get to you faster than someone taking your hat off of you. Maybe it's embarrassing because it sort of necessitates them being taller to actually get at the hat? I don't know. Franki: So, are you #teamrabbit or #teambear? Jon: I have to say, I was surprised to see those teams spring up. Not only because it's flattering, but because I'm not sure how you pick them. When I've talked to people who didn't think the book was great for kids because of how it ends, I've tried to make the case that, if the story has a point at all, it exists outside the characters themselves and what they might be aware of, and that it's up to the audience to take what happened as a whole and put it together. But I guess if I was made to choose, I'd choose the bear because, as far as I can see, the rabbit does nothing redeeming. Franki: Will we see the bear from I WANT MY HAT BACK in any future books? His fans miss him and would love to see him star in another story. Jon: I don't have anything against him coming back if there's a good book for him to be in! Franki: What’s next for you? For those of us who are anxiously awaiting your next book already, can you tell us anything about it? Jon: So far all I've got are animals staring at each other. If you haven't had time to stop by the blogs on the rest of Jon Klassen's blog tour, take time to do so. You will learn some very important things! Ever since I fell in love with Archy and Mehitabel in high school, I have been a sucker for cockroaches in literature. I even kept Madagascar Hissing Roaches as classroom pets for a lot of years. So of course, I love Maybelle the Cockroach! 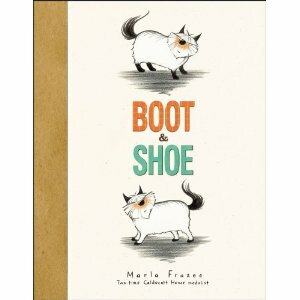 Maybelle has a friend who is a flea, and in this book, Bernice, a picnic ant with a bad head cold that prevents her from smelling her way home shows up. Bernice is used to serving her Queen, and Maybelle thinks it sounds great to be served. But she soon learns to be careful what you wish for. Bernice causes more problems than she's worth, but she does convince Mr. and Mrs. Peabody that Mrs. Peabody's mini cupcakes are haunted. This is an entertaining 58-page easy reader with two other books in the series. 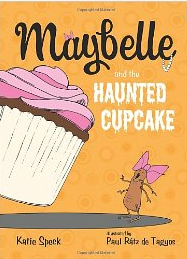 I'm thinking Maybelle will be popular as a quick read in my classroom! Laughing about death is not everybody's cup of tea, so when this book made its appearance in my 5th grade classroom, I made sure that readers were forewarned. 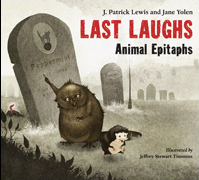 The pictures are gruesome and the animals in the book meet untimely and horrible deaths...but at the same time, to the right reader (mostly boys, to be honest), this is a very funny book. Why did the chicken cross the ro---? Poetry Friday: "You are the same as ever, constant in your instability." but evolved into birds and crock pots became bread makers. I love the last line of this poem. I used it for the title of this post. We are all so constant in our instability, aren't we? And I hope you figured out that there is a change in the hosting blog for the roundup today. Amy and Betsy traded weeks, so we are at Betsy's today -- check out all of this week's Poetry Friday offerings at Teaching Young Writers. Hugh MacLeod reads my mind (Franki's, too) once again. 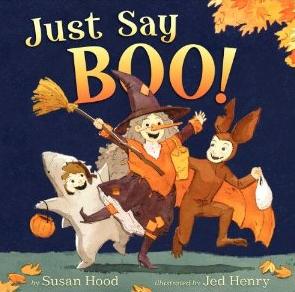 In this sweetly illustrated rhyming book for the younger set, three kids face all their fears and troubles while trick-or-treating by remembering to say, "BOO!" They also remember to say "TRICK OR TREAT!" and "Thank you." In the end, they find enough brave to scare the grownups, and to rescue the spider that's scaring Mom. When the littlest one cries, they teach him to say, "BOO!" We have a new post up at our class blog sharing the ways some kids are using their reading notebooks during our Read Aloud of The One and Only Ivan.